What are the classifications of Capitellum (Elbow) Fracture? Capitellum is the anterior portion of the lateral humeral condyle. This fracture is unique in being intra-articular always. Fall on an outstretched hand, with flexion or extension of the elbow and the resulting shear forces through the radial head slices the capitellum. Type I (Hahn-Steinthal variety): This involves a large portion of the capitellum and a small chunk of trochlea with less of subchondral portion. Type II (Kocher-Lorenz variety): Here only a large portion of the capitellum is involved with a huge chunk of subchondral bone. The patient complains of pain and swelling over the lateral aspect of the elbow. Elbow and forearm movements are also restricted. A true lateral view of the elbow is mandatory to accurately diagnose this fracture. The characteristic finding of this fracture is the presence of “double arc sign” described by McKay over the X-ray. Undisplaced fractures can be managed conservatively by an above elbow plaster cast or slab for 3 to 4 weeks. Displaced fractures need open reduction and internal fixation with minifragment screws. How to prevent Foot Bone Injury? Foot injuries are rare injuries and are usually due to indirect forces. More commonly, they are associated with injuries to the tarsometatarsal joints. Plain X-ray (AP, lateral, oblique views) with CT scan of the foot. 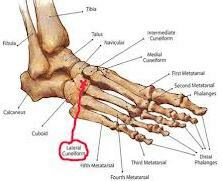 Group B: Partly intra-articular (involves other navicular cuneiform or metatarsal cuneiform joints). Group C: Involves both articular surfaces. Non-operative: Short leg cast for 6 to 8 weeks for undisplaced fractures. Operative: For displaced fractures, open reduction and internal fixation with pins or screws. Alliance Physical Therapy provide 24/7 access to online appointments, with most of the requests scheduled in less than 48 hours. 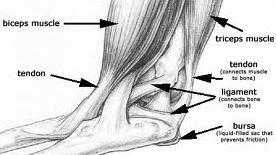 If you are suffering from Foot Bone Injury then visit http://www.alliancephysicaltherapyva.com/ or contact us at: 703-670-9935. 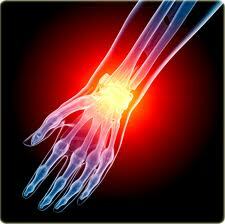 How to get relief from Wrist Joint Pain? Wrist Joint is a common carpal dislocation and can lead to severe disability of the wrist function. This is due usually due to fall on the out-stretched hands. It can cause late carpal instability and arthritis. Hence, prompt and correct treatment is mandatory. In radiograph of the lateral view, normally lunate forms a half-moon shape, which is lost in this dislocation. Moreover, in the anteroposterior view the normal rectangular profile is lost. This may cause compression of the median nerve. If left untreated it may cause permanent palsy, hence, reduction should be carried out as an emergency procedure. If seen early, reduction is easy and immobilization for 3 weeks with wrist in slight flexion usually gives good results. If seen after 3 weeks, open reduction is done. If lunate cannot be reduced by open reduction, resection of the proximal carpal bones or arthrodesis of the wrist may be necessary.